by Camil Durakovic : A year ago, I wrote about Aleppo and Syria. Today, I am writing about another country, another people and yet another crime. I feel obliged to write, because genocide survivors bear a responsibility to react when they realise that others are being threatened with the treatment they once received. My story thus brings me to Southeast Asia and Myanmar, or as we used to call it – Burma. And, therein Arakan. Arakan is a land in the west of Myanmar. 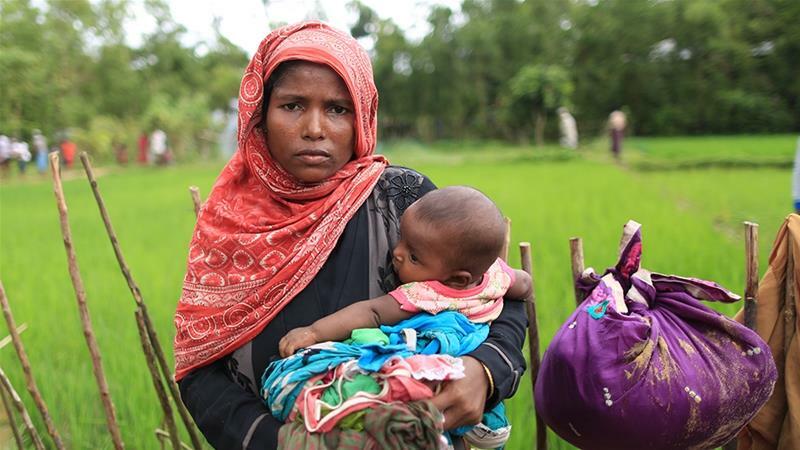 The Rohingya people, the majority of whom are Muslim, live in the northern parts of Arakan, in townships such as Maungdaw and Buthidaung, towards Myanmar’s border with Bangladesh. The Rohingya have been living in these areas for a long time, as they are indigenous to this region. But today, some people claim that the Rohingya moved to this area during the British colonial rule and they use this claim to argue that this persecuted minority is not entitled to any right or status in Myanmar. The persecution of the Rohingya in Myanmar began as early as 1982 – they have been denied basic civil rights and freedoms for decades. I know this because I have been reading about the arduous fate of this people for days. I don’t know whether we would have heard about the plight of the Rohingya if they were not Muslims or whether that is precisely why the news about their fate reached us in Srebrenica and strongly resonated with us. What I do know is that, to me, their ethnicity or religion does not matter. They are my brothers regardless of religion. I call them my brothers because we share the same story and the same fate. They are brothers and sisters to everyone from Srebrenica. Everything that is happening in Myanmar today had happened at dozens of other places before, and it had happened to us, too. These current events are exactly what we have in mind when every year on July 11 we say in our prayers “never again to anybody”. Violence has been present in Myanmar for years. Segregation became legal, persecution “desirable”, and entire villages and towns were proclaimed “free of Rohingya” long before the current events. The closing of mosques, revocation of citizenship rights, propaganda and pressure have been a significant part of the Rohingya’s daily reality for a very long time. These are facts that are really easy to unearth, and these are the stories we must share. Today, our children’s protests are being ignored and Muslims are being bullied in Republika Srpska. Are these the signs of a far worse situation approaching? They erase our cultural institutions from their “cultural strategies”, they forget our writers, they don’t hire our journalists, they block the renovation of our cultural and spiritual sites, they deny our right to language and they raid our villages. When our mothers ask, “Who murdered our children?” or when we ask, “Where are the bones of our brothers?”, they refuse to answer. They would rather resettle us worldwide, which they have tried both during the war and afterwards. They would be the happiest if we have never returned to our homeland, if we neglected our villages and left our land uncultivated. They would rejoice if all disappeared and vanished, if our monuments lost their white colour, if tombstones were not visited, if Al-Fatiha wasn’t recited to those we can no longer see, if laughter of our children wasn’t heard. This is why Myanmar is not far away from us. The Rohingya’s cries are not far away. Those cries that we hear so clearly are warning us that we alone can win the fight for our freedom, and that we should never wait and pin our hopes on someone else. They will all deceive us, and their symbolic gestures and support will last as long as the commercials on TV. May it never happen again to anybody. We do not want to say “never again” in our prayers for our lost sons, while we know that a second, third, fourth people is going through the same. When will “never again” be truly never again?